An enjoyable reading, enlightening. Bought it for my husband and he highly recommends the book. I enjoyed the big short and flash boys. This was good for a while but then became a repetitive story of awful people continuing to be awful. After a while it ceases to be entertaining. Sorry Michael. An intriguing view into the psychology of markets and their participants in the 70's and 80's. Brutally honest and highly amusing. Really interesting to read an apparently honest look at the ridiculous industry that is investment banking. Will look for more by this guy! 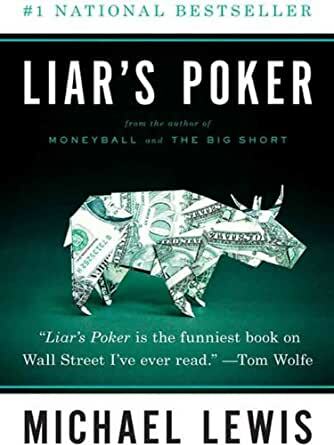 Michael Lewis is a great storyteller which makes the material interesting! Enthralling real-life account of debauchery, hedonism and straight out greed throughout one man's account of his tenure within Salomon Brothers. Loved it.